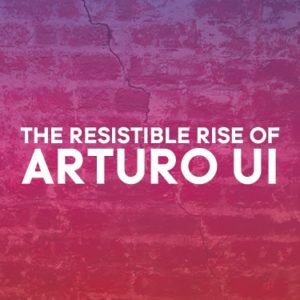 November 27, 2018: As audiences enter the Laura F. Angelson Theatre for Classic Stage Company’s revival of Bertolt Brecht’s rarely produced The Resistible Rise of Arturo Ui, they step into a dangerous world where murder and menace lurk in every corner. 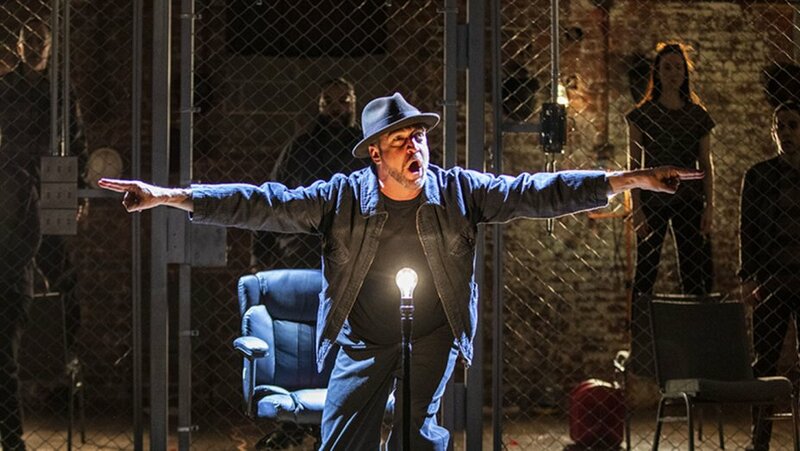 This dark kingdom of night, with eerie parallels to America in 2018 as well as Germany in the 1930s, is ruled over by a vicious brute given snarling, malevolent life by Raul Esparza in a powerhouse performance. Esparza has won acclaim in musicals like Company, Taboo, and Chitty Chitty Bang Bang as well as dark dramas such as The Normal Heart and The Homecoming. But here he totally dominates the proceedings with such ferocity and detail, you cannot take your eyes off him. Written in 1941 while he was in exile from his native Germany in Finland, Brecht’s allegorical satire recasts Adolph Hitler as a Chicago gangster ruling over the Windy City’s cauliflower trade rather than a monomaniacal dictator taking control of Europe. There are numerous allusions to Richard III as well as rattling news bulletins of Der Fuerher’s ascension to power as they parallel that of Ui (pronounced “Oooo-eee”) who commits murder, arson, blackmail, and terrorism to claw his way to power among the grocers. George Tabori’s translation combines a Hollywood version of street slang with mock Shakespeare. Surprisingly, Ui has only has three previous major New York productions: on Broadway in 1963 starring Christopher Plummer (a flop with only eight performances) and two Off-Broadway limited engagements: in 1991 with John Turturro (also at CSC) and in 2002 with Al Pacino produced by Tony Randall’s National Actors Theater. This is a black, fiercely funny and horrifying vision of political ruthlessness. Though the pace and plot do get rather monotonous as atrocity piles on top of atrocity. Fortunately, CSC artistic director John Doyle employs an inventive, frankly theatrical style of staging as he did in his productions of Sweeney Todd, Company and The Color Purple, and as Brecht prescribed for his plays. Just as he transformed the CSC space into a 1940s Army barracks for his thrilling production of the musical Carmen Jones, Doyle, who also designed the production, has reconfigured the company’s intimate Off-Broadway venue into a combination union hall and supply house. The audience becomes part of the angry mob and Ui’s kitchen cabinet of killers. The stark lighting design by Jane Cox and Tess James, much of which is accomplished by bare fluorescent tubes, makes the milieu eerie and frightening. 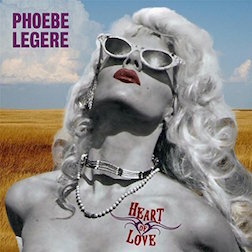 A cast of eight plays multiple roles with both broad comic strokes and emotional reality. Christopher Gurr captures the affronted, tarnished dignity of Dogsborough and Dullfleet, two traditional power-brokers devoured by Ui. Omoze Idehenre displays fiery fury as a pair of the dictator’s victims who dare to stand up to him. Elizabeth A. Davis, Eddie Cooper and Thom Sesma are terrifying as a trio of henchmen while George Abud and Mahira Kakkar are appropriately craven as corrupt officials. But the center of gravity is supplied by Esparza who delivers a dynamic, horrifying performance as the villainous Arturo. He could easily have turned in a one-note howl of rage, but Esparza calibrates Ui’s villainy, shading and orchestrating his insatiable grasping for dominance. At first, he is like a sniveling rat, cowering and covered up in a shapeless dark jacket and fedora. He whines and wheedles in a nasal Brooklyn-ese, sounding like a cartoon rodent in a Warner Brothers’ cartoon. 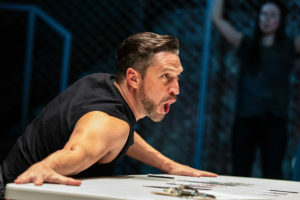 As the play progresses and Ui refines his message of terror and takes posture lessons from a broken-down classical actor (Davis in a sharply funny turn), Esparza then appears in a sleeveless black tank top, exposing muscular arms and adapting postures of intimidation. His whine becomes a roar and then a bellow as Ui transforms from tiny weasel to massive beast, beating his chest like King Kong and becoming much more frightening than the massive puppet of the current Broadway musical version of the classic film. Arturo Ui is a bold reminder of the dangers of fascism and a warning against its future recurrences. Nov. 14—Dec. 22. Classic Stage Company at the Lynn F. Angelson Theatre, 136 E. 13th St., NYC. 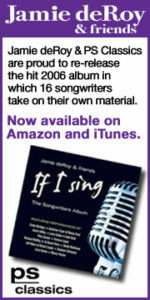 Tue—Thu 7pm, Fri 8pm, Sat 2pm & 8pm, Sun 2pm. Running time: two hours and 10 mins. including intermission. $82—$127. 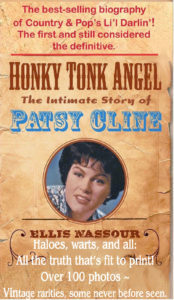 (212) 677-4210. www.classicstage.org.